Fan account and gallery after the cut! 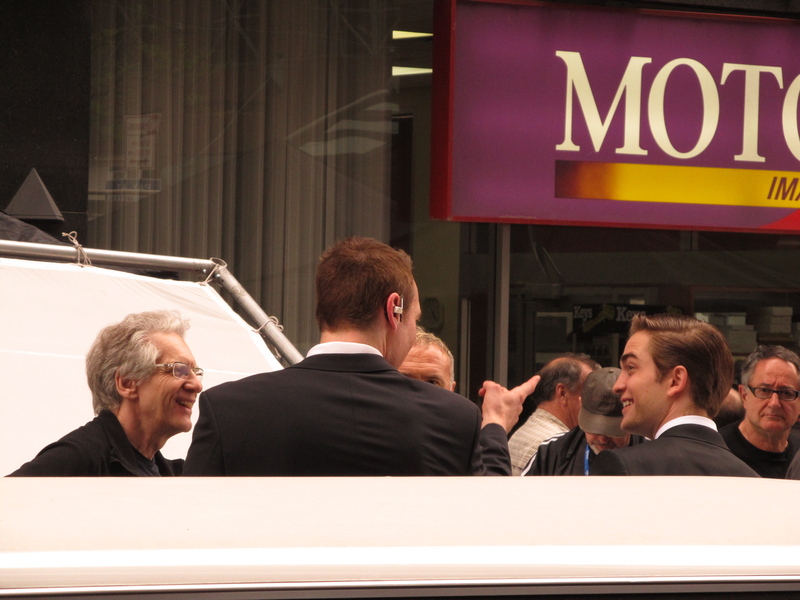 Rob did exit his trailer 5 min later and walked very quickly to set with Dean. I then walked over to the set on the next street over and to tell you the truth there really was not a lot to see…more setting up then anything. I was at one point amongst a small group of people who were all trying to peek through a tiny bit of space to get a peek of Rob…I was actually reading Suzie’s account of her day on set and I was standing right in front of Suzie, Jan, and Gina…they were trying to take pics over the top of my head(with the pink camera)…you guys got amazing pics for what you were dealing with(especially when Dean decided to cockblock (Chauffeur Tink: lol just doing his job ;)) all of us and stand with his back to us blocking the incredible view)…and yah your arms must have been tired. I received a phone call as I was standing there and thought I was going to get in trouble as they were just starting to call out “picture up” and “quiet on the set” So I left that area to take the call. My cousin had arrived and was in the walkway at the back of Tim Horton’s which is where we got the great pics of Rob and the set. After they wrapped for the day we headed over to the trailers again where I stood on a window sill to get a great view and the last pic of Rob leaving for the day. 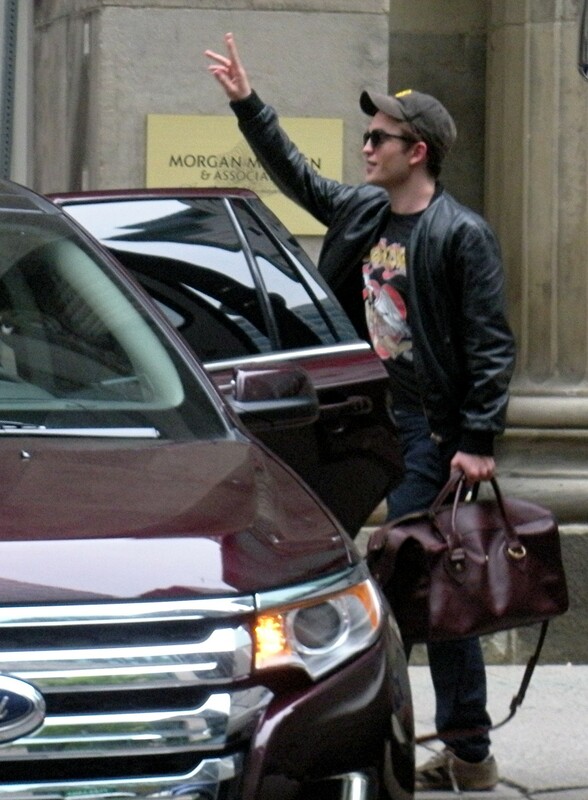 Here’s the shot from @drapht13 of Rob leaving the set that Chauntelle mentions above. I also saw a picture of the (hot) Audi today but can’t remember where. I’ve been drinking one too many martinis in the limo. 😉 Thanks for sharing, Chauntelle! This movie is looking rather HOT,specially with a certain someone dressed the whole time,or most of the time,in a suit…*Delicious*! Yes Awesome! I’m still working on the eyebrows I saw the other day, thinking of the drama, because there is lots of inner drama and turmoil, right?! I liked it! OK ….Tink, movie time for the limo. Holy COw! Rob is 6’1″ and Kevin is towering over him!